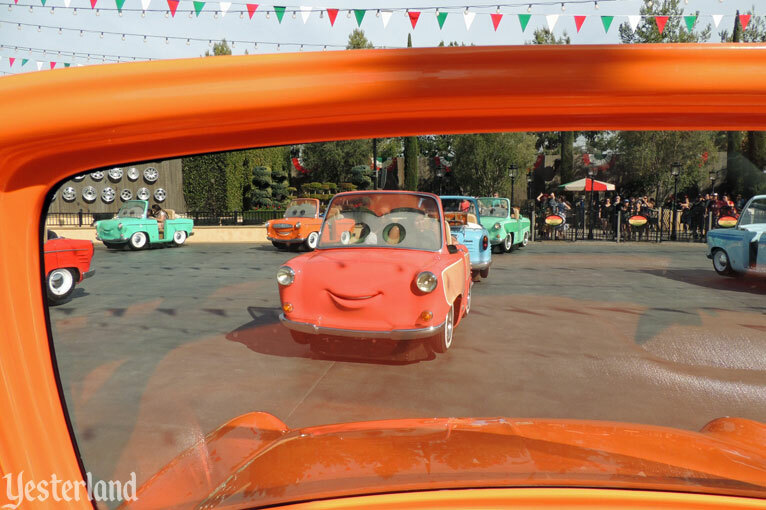 Luigi and Guido—a 1959 Fiat 500 and his Italian forklift assistant, respectively—run Luigi’s Casa Della Tires in the Disney-Pixar feature, Cars (2006). 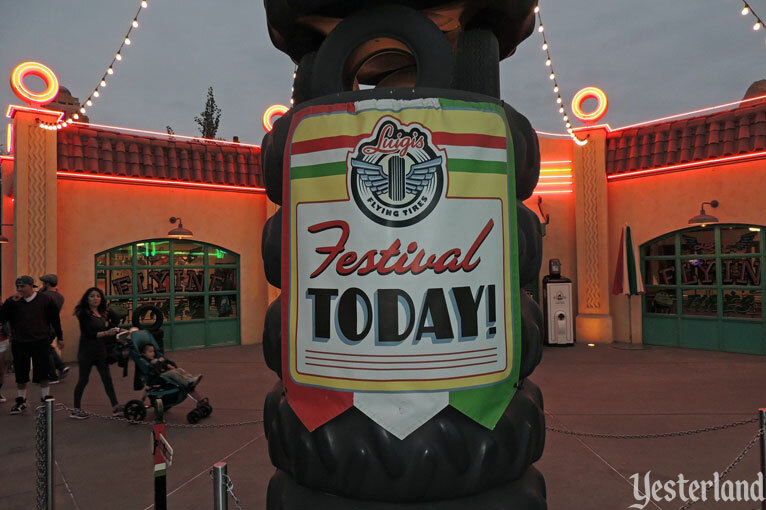 Here at Yester California Adventure, these characters invite you to their “Festival of Flying Tires.” You can “fly” around on a tire behind the tire shop, controlling your flight by shifting your body weight. It’s like no other ride anywhere. The queue begins in the tire shop. You can admire the merchandise, including genuine Lightyear tires. This ride comes with operating instructions. To make your tire go, your whole party—carefully positioned on your bench—has to lean together in the same direction. But don’t lean too far, because then you won’t move properly either. This is a good attraction for Annual Passholders, who can return many times. Practice makes perfect. Before you board your vehicle, there’s something you need to know. Even though the bottom of your vehicle looks like a big, tough tire from a distance, that’s not what it is. 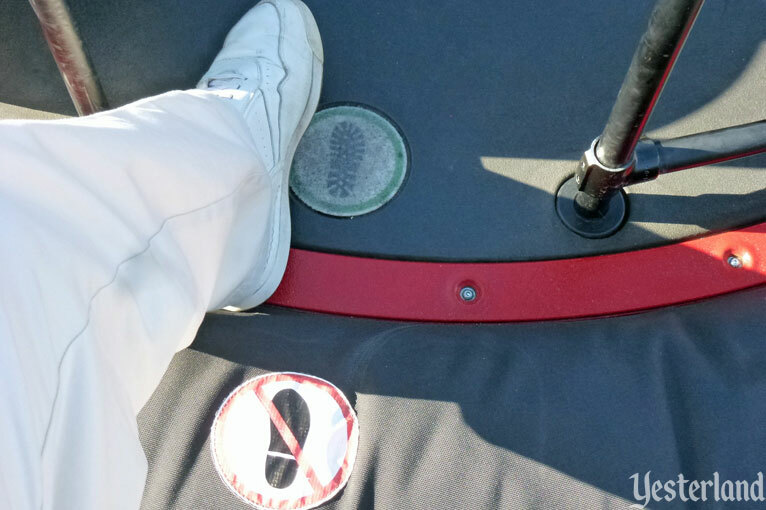 It’s actually a rather delicate skirt to catch the air from the “air hockey table“ ride floor. 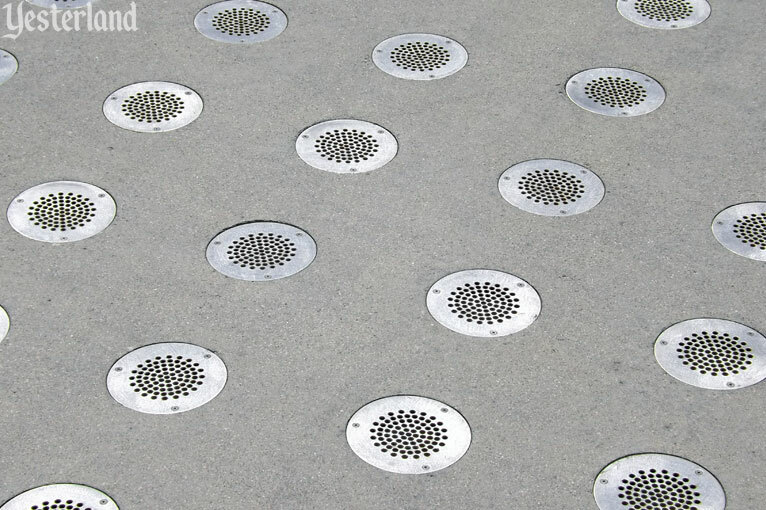 So you must be careful where you step! Is that clear? Thank you for stepping over the soft part of the tire. Do you remember the instructions? Balance. Lean together. Fly. Have fun! Try not to get stuck in a traffic jam. That was somewhat fun, right? 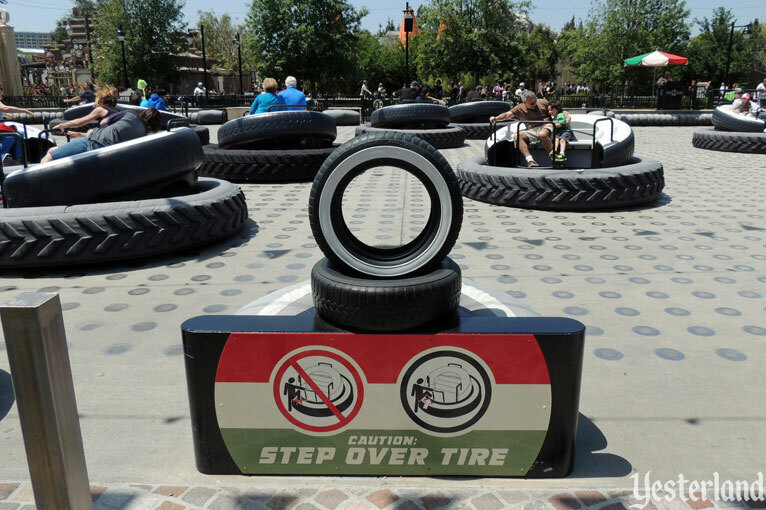 Luigi’s Flying Tires opened at Disney California Adventure on June 15, 2012. 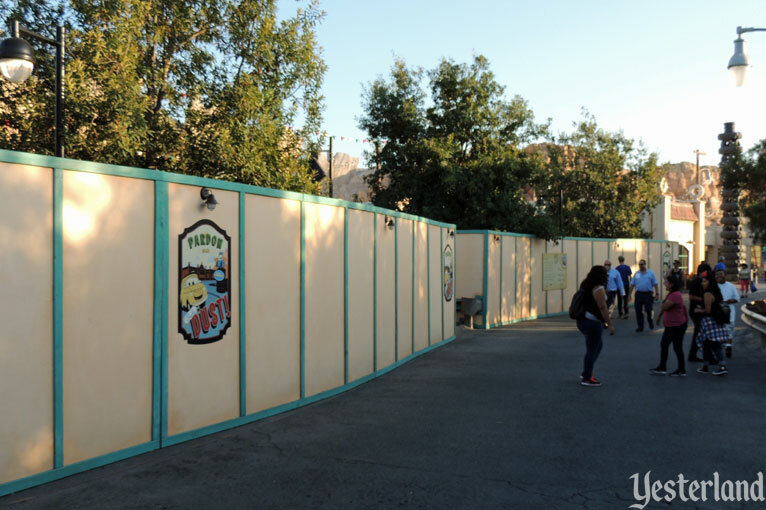 It was part of the park’s new Cars Land. Sure, the mega-attraction of Cars Land would be Radiator Springs Racers, which would combine the ride system from Epcot’s Test Track with storytelling from the animated feature Cars. 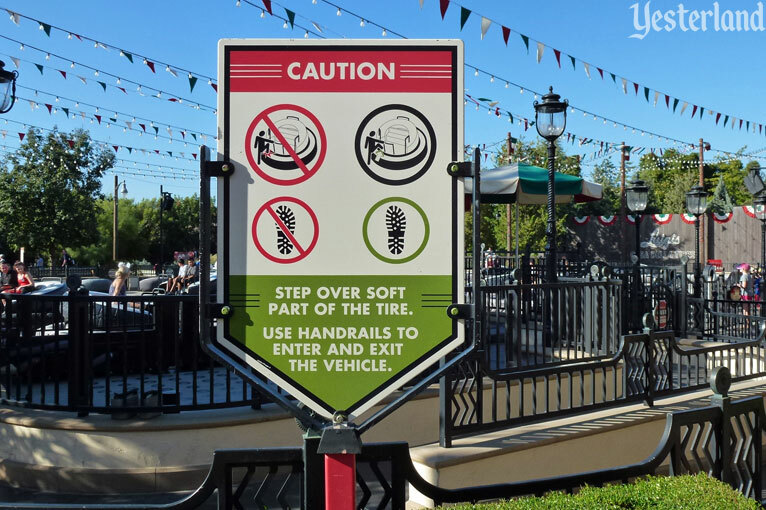 However, among Disney theme park fans, Luigi’s Flying Tires might have been the most anticipated attraction of the new land. 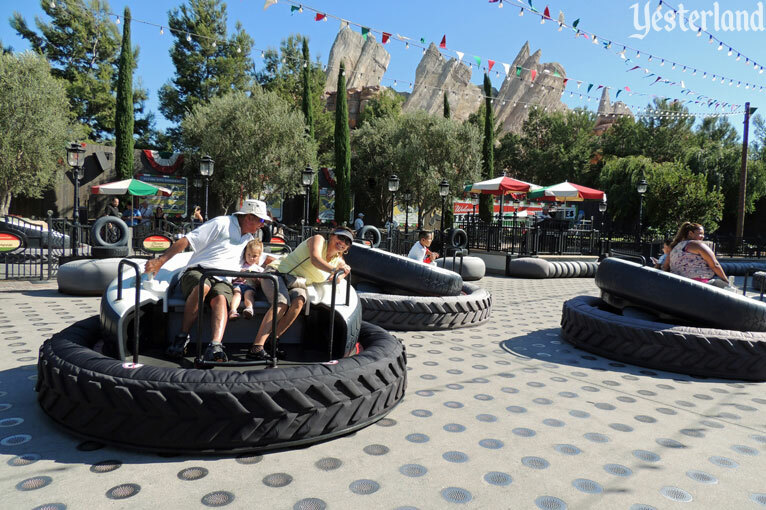 Although different in name and theme, Luigi’s Flying Tires was anticipated to be the return of the Flying Saucers, a Tomorrowland attraction at Disneyland from August 6, 1961, to September 5, 1966. 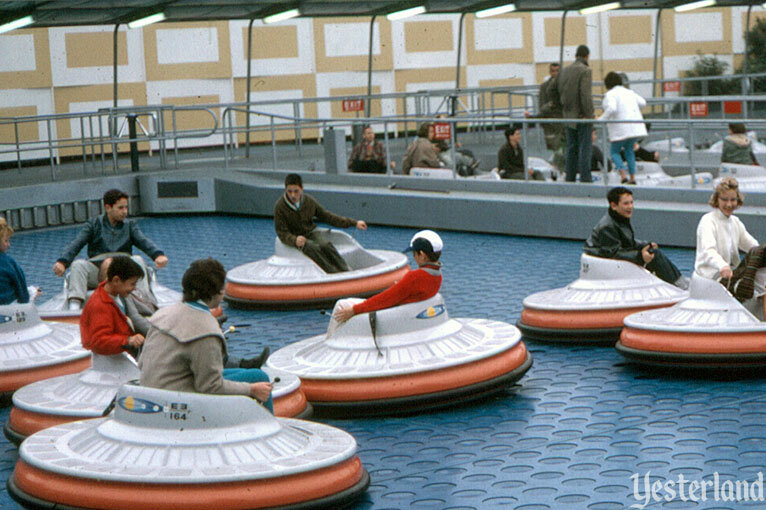 Disney fans born during the Truman and Eisenhower administrations still remembered the zippy little saucers fondly from a half century earlier. Most of those born later were deprived of scooting around on a personal hovercraft—literally floating on air—and bouncing off others. It was much more fun than traditional bumper cars, which collide with a thud. 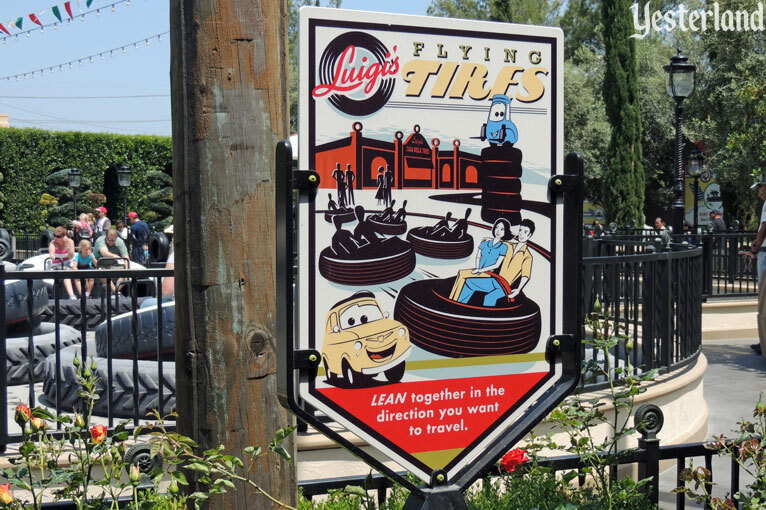 Unfortunately, Luigi’s Flying Tires utterly failed to bring back the Flying Saucers experience. The lumbering multi-rider tires lacked the intuitive ease-of-use and responsiveness of the sporty little saucers. 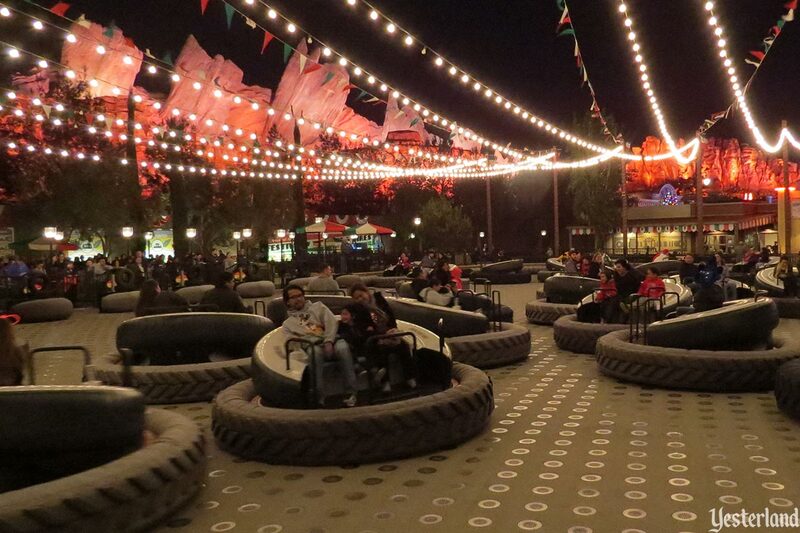 When Luigi’s Flying Tires first opened, guests could throw beach balls at each other. That turned out to be a problem. After just two months, the beach balls disappeared. Mater’s Junkyard Jamboree, the third attraction of Cars Land, became a surprise hit—much better than expected and very repeatable. The same could not be said for Luigi’s Flying Tires. 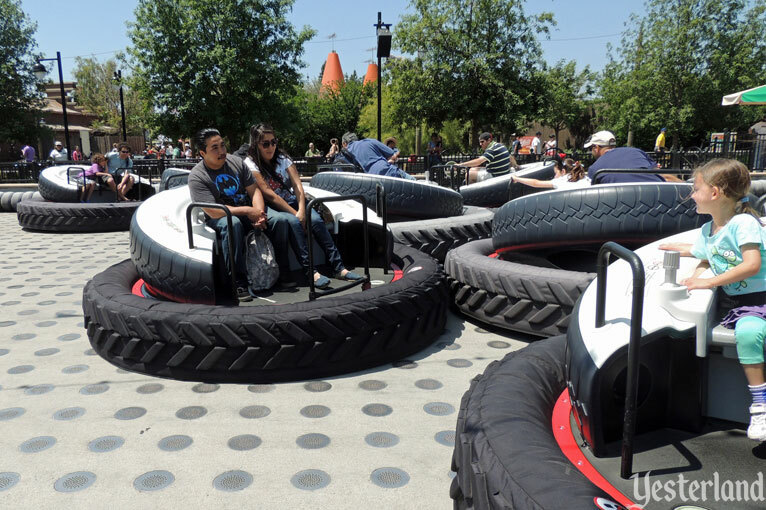 After long waits, some guests were just trapped in clumps of tires, barely able to move. Even those who managed to break free and figure out the perfect way to lean were not rewarded with the promised exhilaration. 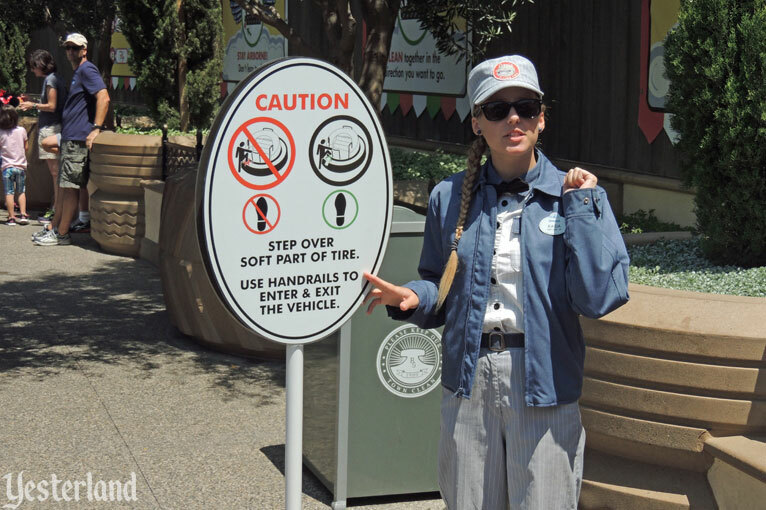 Soon, Internet rumors suggested that WDI was looking for ways to fix the ride. 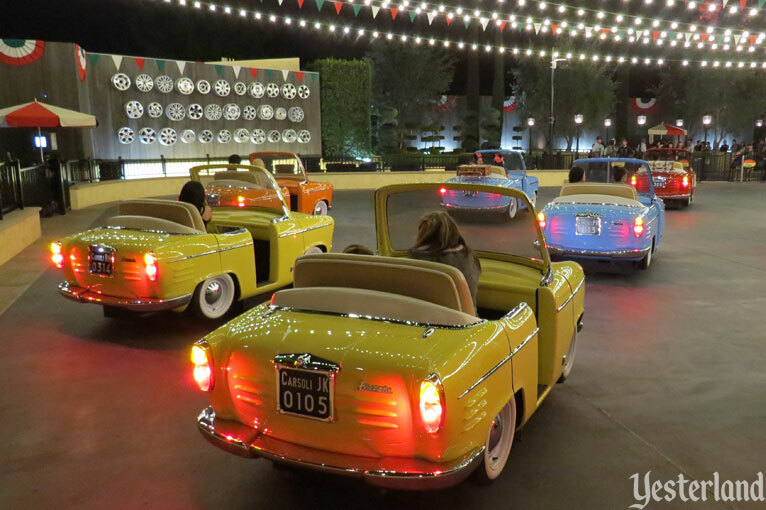 Then those rumors changed to how the ride might be replaced entirely by a trackless ride with dancing cars. 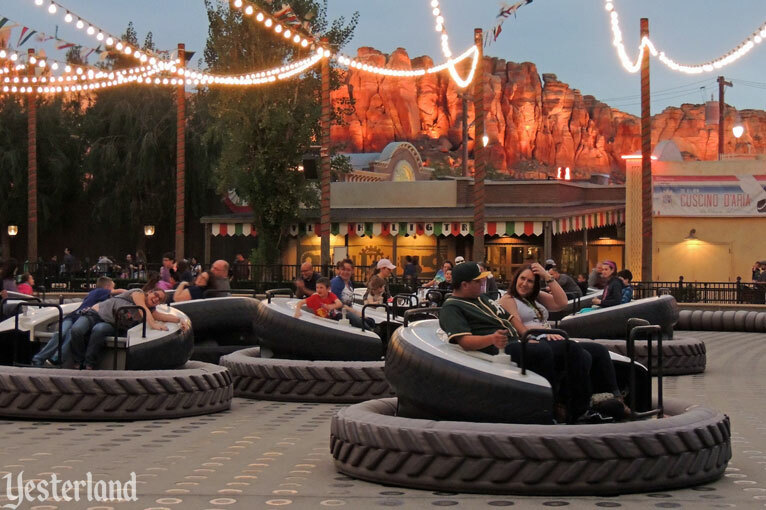 After a little more than two years in service, the beleaguered Luigi’s Flying Tires at Disney California Adventure will be replaced by an entirely new ride. The unnamed attraction will feature a completely new ride system and vehicles. Concept art of the new attraction released by Disney shows riders in classic cars zooming around an enclosed course free of a track or turntable. 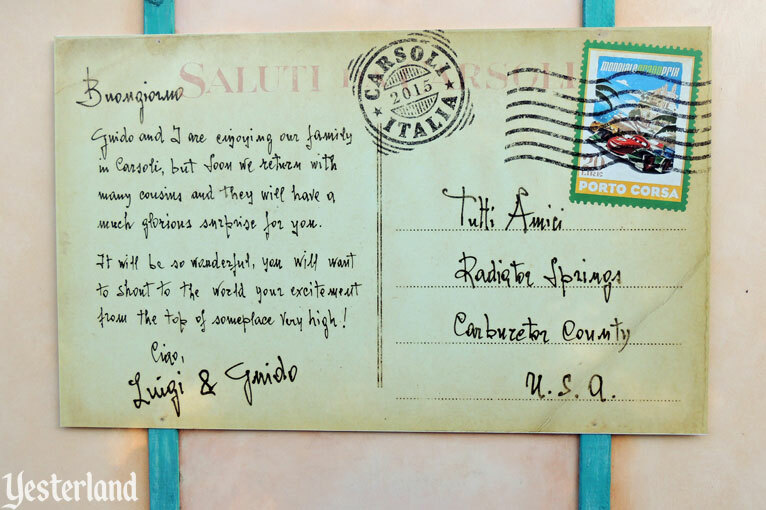 Kris Theiler, vice president of Disney California Adventure Park, said the “new chapter in Luigi’s story” will be full of four-wheeled fun. 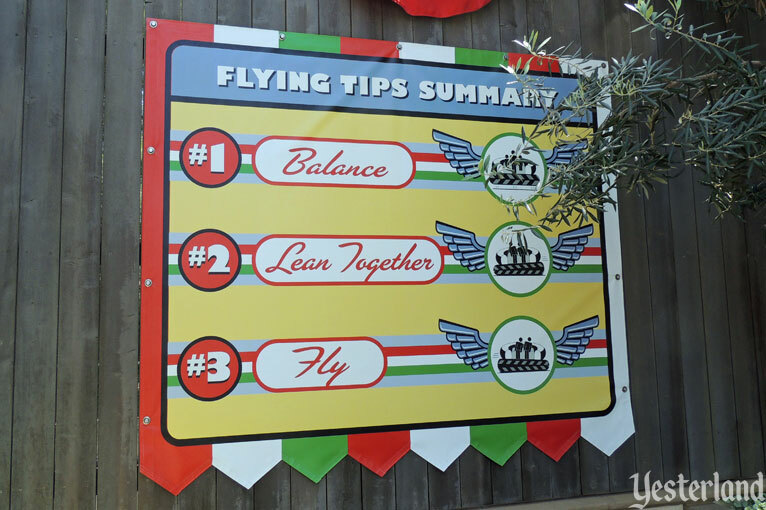 Luigi’s Flying Tires closed permanently February 15, 2015. By the way, Carsoli really exists in central Italy. Around 5,000 people live there—although in the Cars universe, there are probably no people there, but around 5,000 cars. 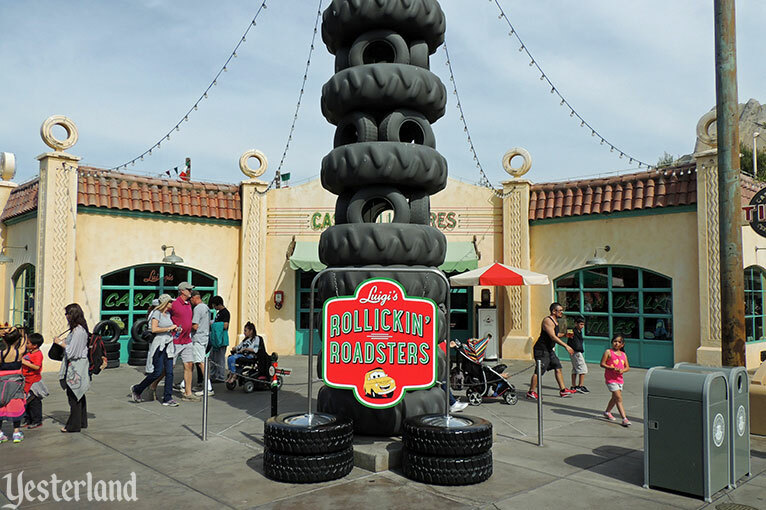 Luigi’s Rollickin’ Roadsters officially opened March 7, 2016. Luigi’s shop, with its clever artwork and Pixar-inspired tire brands—possibly the best part of the old ride—still serves as the queue. 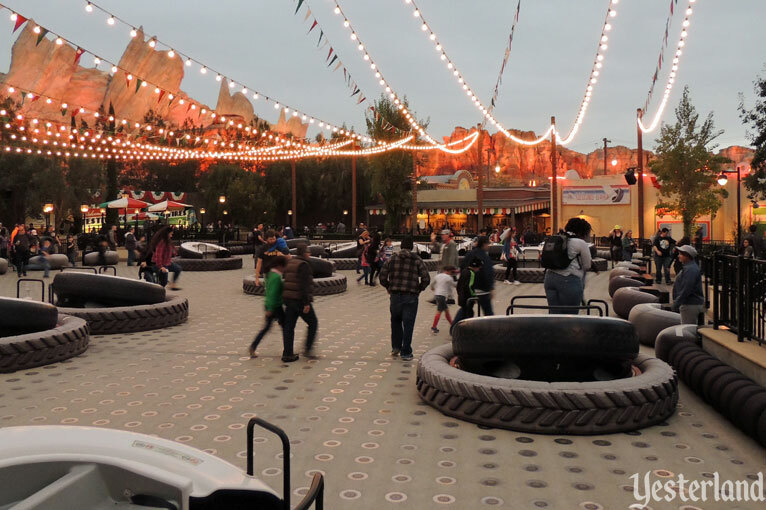 The former “air hockey table,” ride area is now a flat, trackless surface. 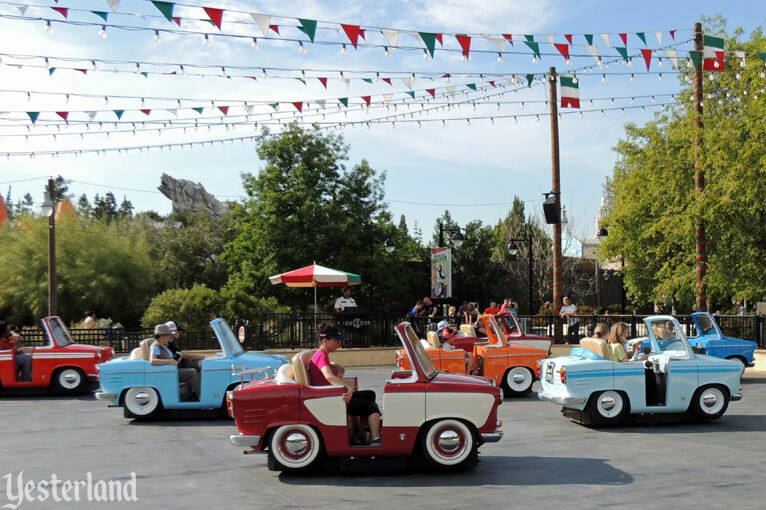 The ride vehicles are now Luigi’s cousins from Carsoli, Frizzante cars (a brand invented by WDI), with no two alike in appearance or movement. They perform intricately choreographed dances. Guests have no control over their vehicles, but that’s okay. Luigi’s new ride is a big improvement over his previous one.